"Ella was professional yet very friendly, Milo took to her immediately and the experience was not one of training but he found it enjoyable, he did not realise that the fun he was having was in fact training, brilliant. Will definitely be recommending Ella!" "Ella is the most friendly, approachable trainer! I wish I had met her years ago." "Extremely helpful and caring, with brilliant practical help and advice to solve any problem with your dog. Couldn't recommend Ella more!" "Ella is a wonderful and caring trainer." "Ella is fantastic! We started training our puppy a little bit late and we were worried she wouldn't pick it up that well, but with Ella's patience and great techniques Hazel is now a completely different dog! I would highly recommend Kirby Dog Services to anyone. " "We hired Ella for five sessions with our three month old puppy. At the end of the five weeks he was fully house trained and responding to the sit, stay and come commands. Our whole experience with Ella was delightful and we feel able to maintain the training and enjoy our dog to the full." "He did not realise that the fun he was having was in fact training, brilliant." 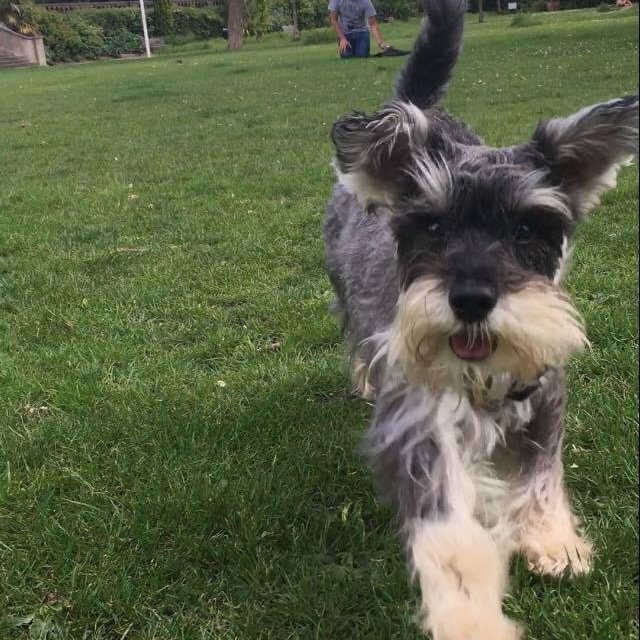 "I got in touch with Ella to help me with my 7yr old rescue dog who has deep rooted issues of getting over excited and difficult to control when outdoors. Ella's training techniques have been a delight to take on board with positive results! I much prefer her approach of patient positive reinforcement and being only 2 training sessions in I can genuinely see it working with my dog!" "Our two griffons, Donnie and Arlo (quite naughty) have worked with Ella over the past few months and I have noticed improvements in their behavior and general obedience. Ella has equipped me with lots of tips and tricks to ensure the improvements continue beyond the training sessions and I have found her suggestions very effective. Our dogs love working with Ella!" "Ella is a wonderful and caring trainer. The insight into our little doggies problems have been enormously helpful. Couldn't recommend enough." the opposite! Ella has a good rapport with my dog, and I believe her love of animals shows through in her character. I am extremely happy with Ella, her professionalism and her training methods." "Our dogs love working with Ella!" "Ella trained Loki, our 5 month old border collie pup. We covered basic commands like sit, stay, heel, lie down and drop the ball, moving on to desensitising him to traffic and then tricks such as roll over. Ella was patient, resourceful helpful and effective throughout. She was also responsive and flexible with timing which was a great help. Highly recommended." "I would highly recommend Kirby Dog Services to anyone." "There are almost no words to describe how much we enjoyed our time with Ella. My puppy Maple and I did 5 one to one sessions with Ella and we both learnt an incredible amount, her approach is friendly and encouraging & I was amazed how quickly Maple picked things up. We would recommend Ella to every dog owner (and already have many times). Thank you Ella!" "Highly recommend Ella if you are looking for a trainer to address any problem behaviours in your dog, or even just want to teach them some new tricks." Highly recommend Ella if you are looking for a trainer to address any problem behaviours in your dog, or even just want to teach them some new tricks. Thanks to Ella I now have two puppies who no longer refuse to leave the house and know how they are expected to behave during their walks. Her training is as much for owners as it is for pets, and I feel far better equipped now to deal with any issues that may come up post-training. She truly loves dogs and mine most definitely love her. " Lynx - the Collie/ Greyhound and Whippet puppy! "It's really a 19 star service from Ella for both dog and owner. I recently used Kirby dog services and the programme provided for Lynx (my 7 month old very active puppy) and myself was excellent. Ella is an excellent trainer and Lynx and I related well to her. I have no hesitation in recommending Kirby dog services for both dogs and owners. Follow up emails were an additional help." "It was a real pleasure working with Ella. She is very professional, warm and obviously completely devoted to dogs. Our vivacious one-year-old labradoodle Sooty fell in love with her after the first session and cried at the door when she left (!). Sooty is a very happy and energetic dog who is easily distracted outside and often pulls at the leash with considerable force, which has caused issues when I took her out together with our six month old baby. In ten sessions Ella has taught Sooty the ‘look’ command so that she maintains eye contact when we are outside and has laid a solid foundation for loose lead walking and heeling, something that I have previously struggled to do. I am very impressed with Sooty’s progress and cannot praise Ella enough for the amazing work she has done in such a short period of time. Thank you so much!" "Ella helped both me and my dog tremendously! My dog had lost complete confidence in walking and would put the breaks on, so much so we couldn’t even make it down the street - this had been going on for around 5 months. Within one session of positive training, our dog was happily walking around the block and very quickly had progressed to not requiring treats and would happily trot around streets he once refused to move on! Ella also worked on our dogs reactivity to various triggers, using positivie training and distraction methods we have seen such an improvement in him & us as owners. I have recommended Ella to friends and to all new dog owners I come across. She’s a lovely, warm and friendly person who offers wonderful advice and truly has a passion for her job and the dogs she works with. If I could add more stars I would!" "Ella has been helping us to train our two puppies who are now 8 months old. She has helped us teach the puppies many commands including 'sit, stand, down, to come when called and to give eye contact'. All of which both puppies can now do very well. Ella has also given us techniques to help prevent the puppies from barking at other dogs while out walking. We have very much appreciated Ella's expert advice and knowledge and her calm and patient approach with the puppies. I would highly recommend her!" 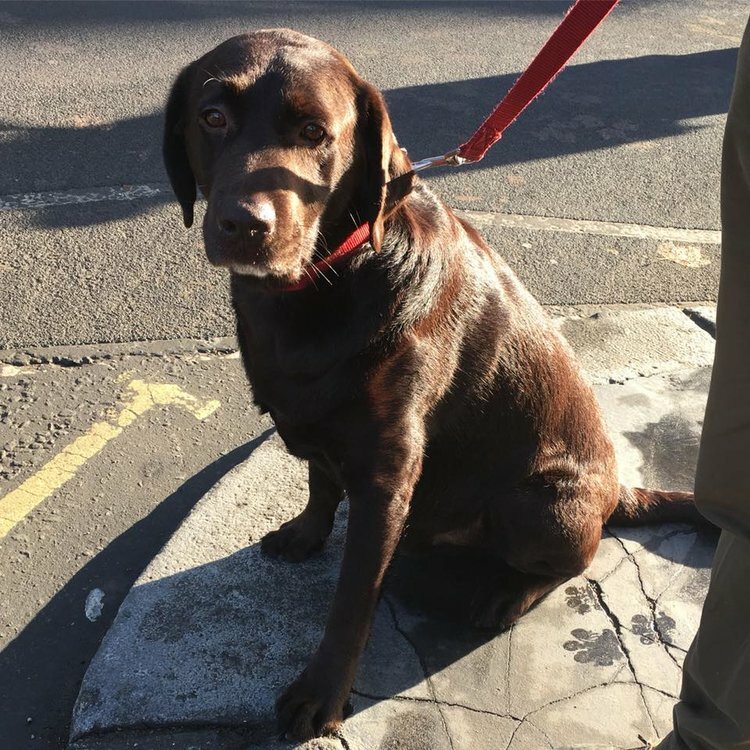 "We are still working with Kirby Dog Services and are really pleased with the work we are doing and realise it will take quite a long time to train Barney as he is a 5 year old rescue Chocolate Labrador and has some naughty habits but we feel confident we will get there." "Ella is fun, friendly and personable. She teaches you how to train and interact with your puppy using positive reinforcement. The classes are great for learning the basics and also socialising the puppies!" Our black lab puppy, Lola, was a student in Ella's puppy classes. It was very worthwhile: great for the dogs to meet others and learn some basic good behaviour. Ella is patient and enthusiastic and clearly has a special talent for dealing with dogs. The training booklet provided with the course is helpful for remedial work." We loved Ella's Puppy Classes, a wonderful experience for us and our puppy. Highly recommended." "Ella is patient and enthusiastic and clearly has a special talent for dealing with dogs."